Have you ever checked your LIC Policy Status by SMS? If your answer is no, then try this simple method next time for checking the status of your policy. Because LIC India Policy Status through SMS doesn’t require any internet facility; simply send an sms in the given format while on road. Here, I have provided the SMS format for checking the LIC Premium Status. So, go through the below sections and check your LIC of India Policy Status without registration. LIC Policy Status by SMS makes you check your policy status easily without any registration. There are different ways for checking the LIC of India Policy Status such as LIC status by policy number through online, through the phone call, through SMS or by visiting the nearest LIC Branch Office. From all those ways, checking LIC India Policy Status by SMS is the simplest procedure. If you want to make LIC Online Status enquiry, registration is required. Whereas LIC policy status through SMS doesn’t need any registration or login. 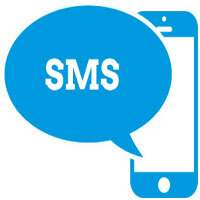 Since everyone owns a Mobile phone these days, the popularity of using SMS to gain information has grown substantially. This is the reason why the corporation has introduced this new facility. In previous days to check the LIC Status, customer need to visit the lic branch office. It consumes both time and money. So for the convenience of their customers, Life Insurance Corporation of India (LIC) has introduced different ways to check LIC policy online status. Those who don’t want to check LIC Policy Status through phone or online can prefer this LIC of India Policy Status by SMS procedure. But the insured must follow some simple codes while sending the message. The LIC code may vary depending on whether you want to search for the policy status of an individual policy or that of a Pension plan. The SMS facility offered by the Life Insurance Corporation of India is one such service which aims at bringing more clarity in all processes and to help customers stay updated throughout the policy term. So, checking LIC Policy Status by SMS is the simple procedure where you need to follow some steps that are given below. But the charges for the Sms will be as per your mobile operator and selected plan. ASKLIC < POLICY NO > PREMIUM/REVIVAL/BONUS/LOAN/NOM and send to 56677. To check the details of Installment premium under policy type ASKLIC < POLICY NO > PREMIUM and send to 56677. To know the revival amount payable (if your policy has lapsed) type ASKLIC < POLICY NO > REVIVAL and send to 56677. For checking the amount of bonus vested, type ASKLIC < POLICY NO > BONUS and send to 56677. To know the Amount available as Loan type ASKLIC < POLICY NO > LOAN and send to 56677. To know the details of nomination type ASKLIC < POLICY NO > NOM and send to 56677. LICPension < POLICY NO > [STAT /ECDUE/ANNPD/PDTHRU/AMOUNT/CHQRET] and send to 56677. For IPP Policy Status, type LICPension < POLICY NO > STAT and send to 56677. For Existence Certificate Due, type LICPension < POLICY NO > ECDUE and send to 56677. To check the Last Annuity Released Date, type LICPension < POLICY NO > ANNPD and send to 56677. For Annuity Payment thru, type LICPension < POLICY NO > PDTHRU and send to 56677. To know Annuity Amount, type LICPension < POLICY NO > AMOUNT and send to 56677. For Cheque Return Information, type LICPension < POLICY NO > CHQRET and send to 56677. Note: In the place of < POLICY NO > please give your policy number, For example, LICPension 999999999 STAT. Since this method costs you as per your mobile operator and selected plan, you can also find a cheaper way for checking the status of your policy, i.e., LIC policy status by phone from our site. Sir,my policy no is 242040944. My hfly premium is 18,195. Sir, I want to know full maturity status regarding this policy.kindly provide me full information behalf this request. My policy No. is 527003254 and hly plan premium_3724=00. plan and term _814 21 21.
sir, my policy no. is 943553388. I want to know about my dues. Sir,my policy no is 701251027. My hfly premium is 2777. Sir, I want to know full maturity status regarding this policy. kindly provide me full information behalf this request. WHAT A REDICULAOUS SITUATION THIS IS …?BEING A NEW USER IT IS VERY DIFFICULT TO GET LOG IN .HOW CAN I KNOW THE STATUS OF MY POLICY…? sparashnath1975@gmail.com, I dont belive the policy no. because four month ago but i am getting the certificate from behala chowrasta, our policy no–996750120, Parash nath Singh, 23 Pally jote shivrampur kol-141 chakendua,maheshtala. Please send my policy statement till date. PPOLICY NO, 705910686 DATD 26/11/2011 SUBMITTED FOR SURRENDER. ON 26/04/0217. WHAT AMOUNT CAI I RECEIVE AS BONUS AND TOTAL MATURITY VALUE. WHEN CAI I RICEIVE MY RPOCEEDS.